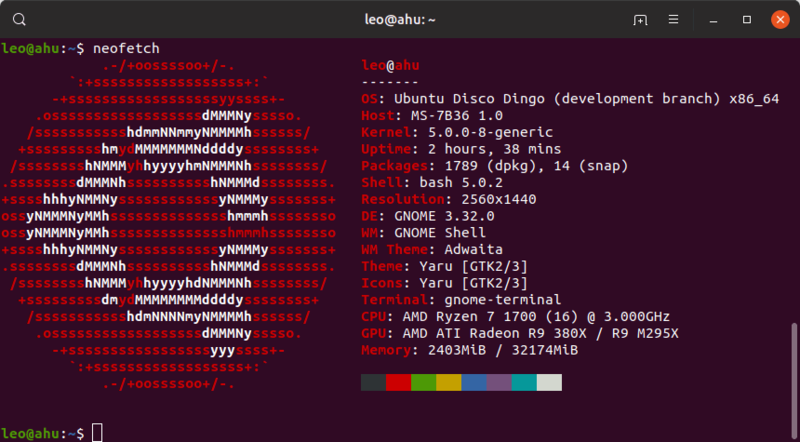 The beta release for Disco Dingo was available on March 26th according to Ubuntu’s image date on the download page, and I’ve been using it since the 28th! I think that’s given me a good amount of time to kick the tires and test things out prior to the official release. And, I have to say, 19.04 has got to be one of the best releases to date. From better GNOME performance to almost instant Snap package start up, there are some great things going on. This is also Come with me on a journey of thoughts and experiences with the new Beta release of Ubuntu 19.04. The install was a breeze as expected. No crashes or weirdness during the live boot, either. Though, I can’t say I spent a whole lot of time there. Since about 17.10, any new Ubuntu release or beta gets immediately installed without a second thought, and not a whole lot stops me aside from app or system crashes, of which, there were none! After booting into the system, I updated and installed a few apps via the normal repo, snap packages, and AppImages. There’s a full list at the bottom. What an improvement! As recently as GNOME 3.30, I saw graphical stuttering when minimizing windows, clunky animations when closing apps, and fades that… didn’t finish smoothly. I’m happy to report that with GNOME 3.32, almost all of it is gone and what’s left is hardly noticeable. During this foray, I watched the screen like a hawk when swapping between windows, or hitting the super key. It’s good enough now that, even while staring intently, I often couldn’t tell if it was a graphical stutter or my eyes playing tricks. Am I going crazy or has GNOME gotten the lubricant it deserves? Let’s go with: GNOME’s pretty good. The update process is quite smooth. This has been the norm for quite a while in Ubuntu, so nothing new here. I do have a nitpick though. Updates are not obvious! While using the beta as my daily driver for a few days, I noticed that there’s no persistent reminder of updates. I don’t mean an in-your-face flashing billboard that yells at you to get up to date, but rather, a reminder in the notification area. For me, it wasn’t until the Text Editor (GEdit), of all things, crashed that I realized I had updates ready to go. Since when does GEdit crash? After sending my error report, I was greeted with a message listing all of the applications out of date. Surely this can’t be the way to let me know about updates! That might be overly critical, but… GEdit, though. I ran updates, rebooted for safety, and carried on. On a more positive note, GNOME Tweaks allowed me to use Dash-To-Dock without any fuss. For me, it’s just a bit easier to compact everything and drop it to the bottom of the screen. That’s 3.1GB of RAM there, folks. This is a big change from before, since, if the dock didn’t stretch across the entire screen, you’d get black transparency in its place. Fortunately, there was a workaround and is no longer necessary! My two main issues with snaps in 18.04 are theming and startup. With theming, snaps might have not have taken the dark theme, or decided to be Adwaita for no apparent reason. More egregiously, the mouse cursor theming seemed to not work… ever. It changes to this basic, X cursor theme when hovered over a snap, and back to the system them when not. I hate to say, mostly because it’s such a trivial thing, but the mouse cursor theming is really my biggest beef. It’s just so distracting. Startup time was the other. Snaps have always been slow to start up. Sometimes five seconds or more! I’m happy to say that both of these things aren’t an issue in my testing! I really hope this means all Linuxes that run snaps will get this benefit as well. Since snaps can be installed directly through the Ubuntu Software app, I figured I would try to do everything I could from there rather than dropping to a command line and installing as I normally would. No, I know. I restarted the app, no go. Everything was going fine until about the 6th app or so, Steam. I would search, and there was nothing. Just blank. I backed out and tried again. It worked. What? It happened again with Discord, though I don’t think the app itself mattered. I imagine that’ll get ironed out soon enough! Then, oddly enough, when finishing out my list-o-things, I searched for VSCode, and nothing. 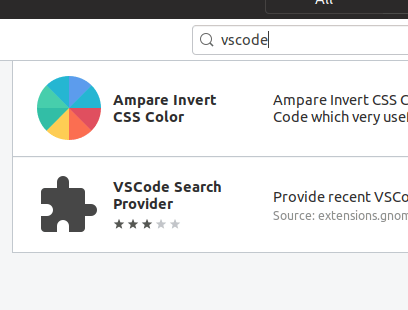 Not “nothing” like before, Ubuntu Software found stuff, but it didn’t find VSCode. Well… it found VSCode Search Provider. I rebooted, and VSCode showed up again. Weird. Overall, it was a pretty easy experience, and I really enjoyed Ubuntu Software. The terminal. I love it. So many things can be done quicker there. So, speed is important to me. I’ll normally hit Ctrl+Alt+T (which doesn’t suffer this same issue) and just start typing. Other times, if I have a hand on my mouse, I’ll click the terminal open. Immediately, my mouse-hand moves to the keyboard. I smack a few keys and realize, for the 30th time today, my keystrokes are going nowhere. Turns out, when launching the terminal from the dock, it’s not already in focus, so my keystrokes may as well go to /dev/null. Now I imagine you might want to know my testing setup. Here’s a neofetch for you curious ones. I see you, muted terminal colors. I see you. To put a fork in this post, outside of the random one-off GEdit crash, Ubuntu 19.04 beta didn’t really feel like a beta. It felt stable, usable, and did everything I needed it to without sweating. I liked it. And I don’t like GNOME. With GNOME’s heavyweight feel behind us, graphical speed-up and various snap improvements, I could maybe, maybe, reconsider whether I use GNOME as a daily driver. I mean, don’t count on it, but it’s an actual question I have now. Before this test it was simply a hard no.